Buying or Selling a Home and Curious about Contract Details?! To Learn All About Contract Details! Today we're going to be discussing the contract process what it takes in order to fill out the paperwork, the questions you're going have to be required to answer, and just to get you prepared. Usually it takes 2 to 3 passes for a buyer to fully understand what they have to do in order to go to contract. So first thing is purchase price. You will be walked through that if you're working with a good experienced real estate agent. They're going to explain to you what a reasonable offer would be, if you're in a bidding war, or if you know that you're not the only person that has put an offer on that house. We're obviously going to counsel you on what that looks like to a seller. So we will say, "Okay, this is what you have in mind to offer. You can ask for closing costs. You can ask for this, this is what the neighborhood's selling for, blah blah blah." We're going to walk you through that and then we're gonna make you pretend like you are literally the seller of that home. We're going to present you with the scenarios with what you have in mind against other offers that could come in prettier and sweeter than yours. So that's purchase price. That's the number one thing you have to factor in with regards to make it an offer. The second thing is your due diligence money. You're going to have to come to the table with something to give that seller to take their home off the market while you do your inspections. That's called the due diligence period. The due diligence period has a begin date and an end date. When you sign the contract, that's usually the begin date. The end date is on page 2 of the contract and it's literally a date. You could say 27 days from the day of contract, 30 days from the day of contract. Normally it's very difficult to get a seller to take their home off the market for more than 30 days. No matter what you're willing to give them they want to know that you're serious. After a certain point and usually that one-month mark is the end of what we typically can get. Every now and then, we can stretch it to 45 days under particular circumstances. What do you do during that due diligence period - you have the home inspected. You might have it surveyed. You might have the septic tested. You might have water tests. It depends on the property that you're buying. If you're buying a condo, there's going to be very few things you're going have to do. We almost always do a home inspection, even on new construction. We almost always encourage our sellers to do a home inspection. You don't want to get into that house and find out that your pipes are made of polybutylene and you didn't even know what polybutylene pipes were. There's just a million different scenarios but you always want to have a home inspection. We're going to highly encourage that if you have a septic tank, have that septic tank pumped. But the purpose of today is to just tell you what you're going to need to do, what you're going to need to know to fill out that paperwork. So I'm not going to go down all the professional services required that we might suggest that you do during that due diligence period. Just know that there is a due diligence period and you are going to pay to take that house off the market. Sometimes in an expensive market or a home that's not having a bidding war or home that's not really popular, we might get that off the market for $100. I feel sorry for the seller that takes their home off the market for $100 but sometimes we can get them to do that. When we represent the buyer, our goal is to get that home off the market for the least amount of money we possibly can take out of your pocket. But if we work for the seller it's just the opposite. We want the most amount of money we can possibly get out of that buyers pocket. So it's kind of a little bit of give and take. That's that's the strategy, though, that you're looking at. You want it to be painful if you represent the seller because you don't want the buyer to walk away after you take your poor sellers house off the market. But if you work with the buyer, you want to make sure the buyer has an opportunity to have all those inspections done and you don't want them to lose their inspection money, and a lot of due diligence money, and the stress. So you really are working for two different goals depending on who you represent. So that is what due diligence money is. The due diligence period typically, as I said, is somewhere within a month. 21 days is a very difficult time frame. If you have a lot of inspections to do, we rarely can even get a survey done on a piece of property that needs a survey within a really crunched period of time. So kind of keep that in mind when you're talking to your real estate agent. You want to make sure that you know what you want to have done and it can all be done within that time frame. If you're using a finance product that's government, let's say USDA, we're really not going to be able to get USDA approved and at 21 day period, that's just not going to happen. So just kind of know that it varies under your circumstances. So now we've discussed purchase price. We've discussed due diligence money. We've discussed due diligence timeframe. Now we have what's called earnest money. Earnest money is what, back in the day, they used to use. You had so many days grace before you lost that earnest money. Fifteen days I think that's what the old contract used to say. I'm not 100% sure but so now the earnest money comes into play after the due diligence state passes. So let's just say it's a fifteen to thirty day period of due diligence and then that earnest money, which is gonna be a much bigger pot of money. Normally we try to make that contract look pretty by making that earnest money deposit pretty big. So we might have that earnest money pot - a thousand, two thousand, three thousand - dollars depending on the house price and what the circumstances are. But we are gonna protect that for our buyer we are going to be watching that date like a hawk. We're going to be making sure all the tests are ran. We're going to be making sure our homeowner is 100 percent sure when that date hits the calendar. In my office, that date is in red on every calendar and on all of our smart phones. On all of our computers, the closed date is in green and it's in red if it's a due diligence state. We are really really very careful about both of those dates. After that due diligence state passes, that money then goes to the seller. So we do not want our sellers to walk away for any reason after that date passes because they will lose all their inspection money, their appraisal money, their due diligence money, and their earnest money. So it is very important and like I say, a good real estate agent is going to be watching that for you like a hawk. So then that's earnest money. Now you have something called a home warranty. People say, "Oh, those aren't any good." Well yeah, they kind of are. If you've ever had a home warranty and I have a lot of homeowners that have never not had a home warranty. If you have and you've used it successfully, you rarely will ever let it lapse. But you can get the seller to pay for a home warranty and they're gonna run anywhere from $475 to $675 and some up to $750, depending on what the circumstances are. So just know that a home warranty is a good thing. It is not a waste of money that a lot of people think and it gives me as an agent a lot of peace of mind to know that when my seller closes they have a home warranty for a year that they can call upon. They're gonna call me anyway but after we look into the situation we'll find out that they have a home warranty and we'll help them in the home warranty process if they need us to do so. But it's just a really good thing to have. If you have a leak in your roof unexpectedly, it covers things like that. An appliance that breaks, it covers things like that. Not everything is covered but a lot more to cover than you would think. You can get writers if you have a very big concern with the HVAC or the roof, you can actually upgrade the warranty to cover some of your bigger concerns. So any rate, that's a home warranty and the seller can be asked to pay for that. Then you have something called closing costs. That's another pot of money that we can still ask the seller to pay. Now will the seller pay that all the time, sometimes but sometimes they just say, "Heck no!" 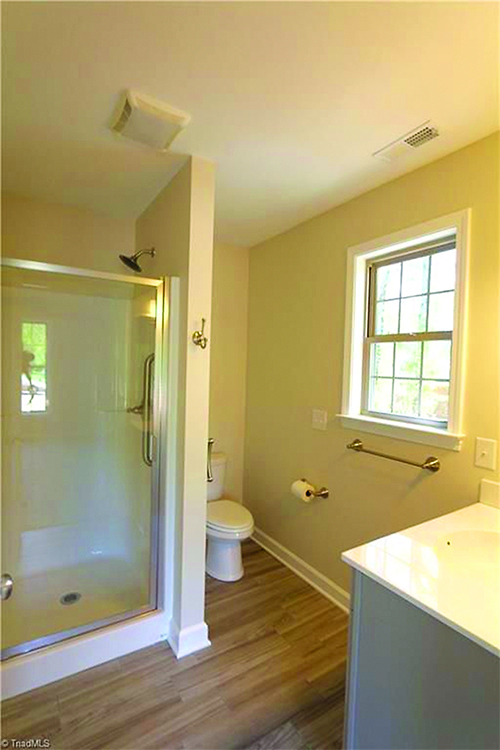 Okay, so you have that other pot of money, closing costs. Closing costs is one of those very difficult, touchy subjects. We have clientele that are gonna say, "No. I've always paid my closing costs." Everybody I know is faced with closing costs. How they ask that I pay their closing costs sometimes. It can be difficult to get a seller to pay. But they can pay it and as long as they feel comfortable with their net, they should be willing to pay it. So really the house is carrying the closing cost if you think about it. If you can get a seller happy with their net, that's their proceeds after they pay for everything. Then why would they not pay for your closing cost?! And with today's interest rates you can let your house carry the closing costs and it will take years for you to get that money back in your pocket. So quite frankly, it's really good to let the house take the roll, if you will. Okay, I'm gonna start it again because closing costs can sometimes be very difficult. Sometimes to get a homeowner to pay your closing costs, some people understand it because they themselves have asked for closing costs to be paid by their previous seller. But, if they've never asked the closing cost to be paid, though, I can promise you they are going to bristle. They're not going to understand why this buyer does not have the money to pay their own closing costs for the purchase of their home. So just know that sometimes it's an easy thing to get passed through contracts; sometimes it's very difficult. But, as an agent, we explain to the seller the process with regards to allowing the home to carry the closing costs. They're not really paying the closing cost unless the home is covering the closing cost and they're getting their net where they're happy paying that fee. Then once you have them happy with that net and you make them understand that, "Hey, even if we have to increase the price of the house to help this buyer out to get their closing cost, that's fine." You're getting your net, you're getting out of it what you need and they are allowed to ask for that. And with today's interest rate, it just doesn't make sense sometimes for a buyer to pull the cash out of their pocket to pay all the fees involved in financing a home. It's better just to let the house carry it in most scenarios. So at any rate that is closing costs and you are allowed to ask for those. We are really good at talking our sellers into paying but they just want to make sure that they get their net and that they don't feel at the end of the day that they're the ones that are really paying them. The house is paying for them. So at any rate in the house has to appraise that's one thing that has to be explained to by our end seller. If you do try to get the house ballooned up a little bit to cover that fee it has to appraise. So it has to work. If the math doesn't work and the house can't carry it, the bank's going to say no and then you have to go back to the drawing board and decide how you're going to deal with the closing cost. So you always make sure that both parties are aware of the best case and worst case situation. If, for some reason, the home does not appraise. Okay, so there you go guys! That's the meat and the potatoes of the contract. You've got the price. You've got the due diligence fee. You've got the earnest money fee. You've got your due diligence state. You have your settlement date. We didn't really talk about that but that's usually 45 to 60 days. Somewhere in there that you're going to agree to actually close on the house, you'll do a final walk before that date. I didn't talk about that but that's not part of filling out the contract. That's just part of the process. Then you have your warranty that we try to get for almost all of our buyers. We also try to get our sellers to put it on their house when they go to list because they actually can put it on their house for free and they have coverage during the entire time we have it listed for free. They do have to pay for it if they put it on their house when they go to sell it and nine times out of ten the buyers can ask for it anyway so why not go ahead and put it on the house? You're in the list period so then you have your closing cost and that's it, guys. That is literally the process of the paperwork. Now I did leave out the professional services. We're not going to go in depth into all the things that you would be doing during the due diligence period because that is an entire video upon itself. But that is the stuff that you're going to have to do. Obviously we do the paperwork for you but those are the questions and that is the process of the paperwork. We're going to go through that with you two, three, four, five times. We're going to make sure you fully understand what due diligence fee is about, what the due diligence period is for, what the earnest money is for, and how important it is that we protect it for you during that purchase process. So I hope that this was helpful. And if you have to watch this two or three times I know we have to say it two or three times to really get it to sink in so that you fully do understand what it is to fill out the paperwork and let us help you get that get that contract completed in a manner that it says exactly what you think it says and that you're very comfortable with it after you sign it. Okay, I hope that was helpful, guys! As always, just call us if you have questions and thanks for watching! Do I Need an Agent to Help Me Sell in a Sellers’ Market? Let’s see…baby boomers have decided to stay put in their large family homes, landlords are making a killing as rents skyrocket, homeowners who bought when rates were low aren’t about to trade their low interest rate for a higher one and home builders are either idle or building more expensive abodes. Is it any wonder that finding a home to buy is a bit like trying to find Waldo? Selling a home right now, on the other hand, is a brilliant financial strategy. Our MLS charts the equity gained by local homeowners, depending on when they bought their homes. Now, these figures “reflect price and principle payments since purchase,” and they’re quite intriguing. For instance, homeowners who bought 10 years ago are sitting on an average of nearly $64,000 in equity. To get your hands on that equity, however, requires that you get the maximum amount of money for the home that the market will allow. Can you do that without a real estate agent? Perhaps, but, unless you have access to the information and knowledge that agents possess, the odds are against you. Let’s look at just some of the ways the right real estate agent goes about ensuring you sell your home for top dollar. How do you plan on coming up with a price for the home? After marketing prowess, a listing agent’s most valuable skill is in knowing the current market value of a home. Not only do most homeowners lack the skill, they also don’t have access to the tools and data used to calculate a home’s value. • You will lose money if you price it too low. • The home may not sell if it’s priced too high. By the time you drop the price, the home is stigmatized and may very well end up selling for less than you’d hoped. So, again, how will you determine your list price without the aid of an experienced real estate agent? With a Zestimate? Don’t be fooled. Zestimates are highly inaccurate, nationwide. In fact, Zillow publishes their accuracy rate and we’ve seen them as high as almost 15 percent off the home’s actual value. On a $200,000 home, that’s a significant sum of money. The moment the home hits the market is the most crucial period in the home sale process. This is when it will receive the most attention, but only if it’s priced right. Do you know how to position the home to get the most attention possible? One of the most significant price influencers is the home’s presentation—curb and interior appeal. We work with homebuyers daily and we understand what they like and don’t like in homes. Without an agent’s assistance when you sell, you’re flying blind, which could waste both time and money. To get it right, you’ll need to know who the most likely buyer will be and then target your home’s presentation to lure them in. Although homes are flying off the market, they aren’t selling themselves. It requires strategic, target marketing to sell a home, at least if you hope to get the most money the market will allow. Your competition on the market is most likely in the hands of a real estate agent who will, with professional marketing, lure buyers to his or her listing and away from yours. Marketing is an art and it requires both experience and a robust marketing budget. We happen to have both, and we get results. Can you negotiate on your preferred price and terms? Another large stumbling block that unrepresented sellers face is the mountain of legal paperwork involved in the sale of a home. From laying their hands on it to understanding it, for-sale-by-owners claim that the paperwork was a major headache. The purchase agreement is one of the most important contracts you’ll use and understanding the terms that the buyer is seeking can be a challenge. Finally, if you want to get more money from the sale of your home, yes, you need a real estate team to help you sell it. According to a National Association of REALTORS survey, the average FSBO home sold for $190,000 while the average sellers with a professional team behind them brought in $249,000. 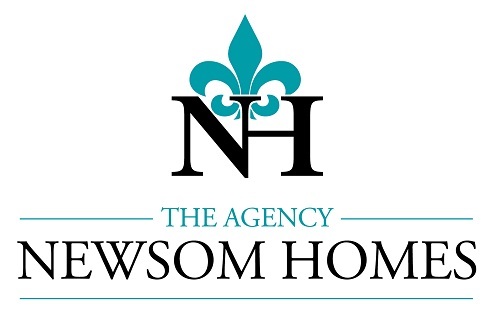 Click here to read the August edition of the Newsom Home Post. GREETINGS happy summer to you all. In case you missed it,come in, get out of the heat, relax and enjoy the August 2018 edition of the Newsom Home Post. 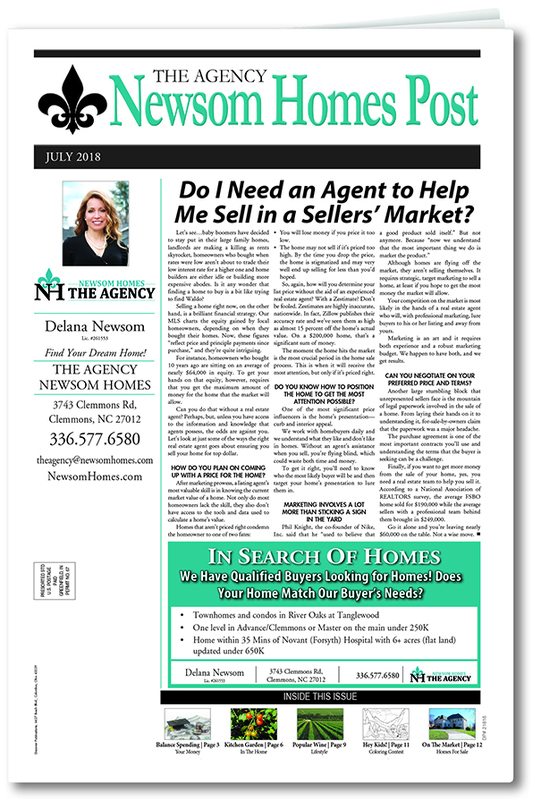 This month, the front page story answers the question, "Do I need an agent to help me sell in a seller's market?". 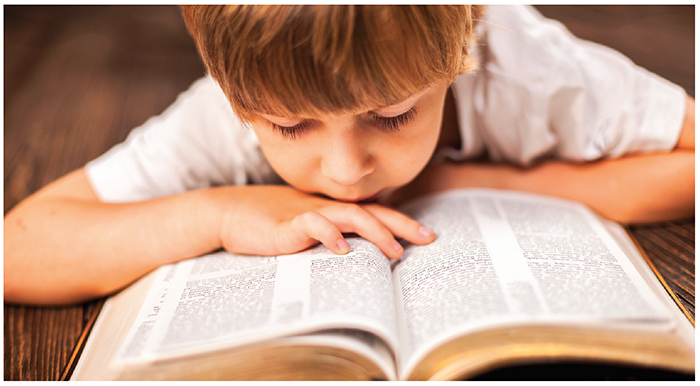 Page 2 gives you dates for vacation bible schools in the area, as well as highlighting some other great events. Look to page 8 for a scrumptious rice tart with fresh berries. Thanks again Wolfgang! Are you tired of being tired? Page 10 informs you about what to do if your kids (ok, maybe young adults) are off to college with allergies in tow. As always, we thoroughly enjoy putting this newspaper together for our you! We appreciate your interest and would love your feedback. ENJOY! Perfect - Perfect - Perfect! Come see what real talent and attention to detail has brought to life. 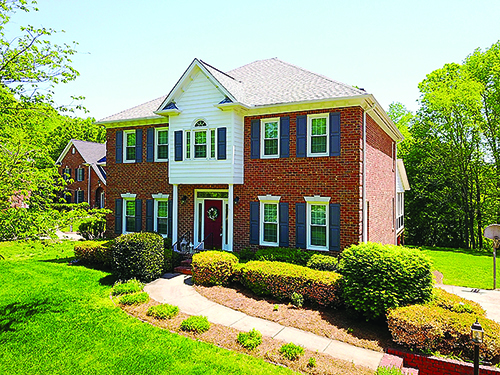 This home has absolutely every single box checked: Master on the main level; Brilliant kitchen; Tile shower; Laundry main level; Secondary bedrooms are huge; 3 FULL baths with a powder room; Basement was not overlooked. This playroom has a fireplace and split system for temperature control; venting allows for what could be another bedroom space (septic permit for 3) and a full bathroom! 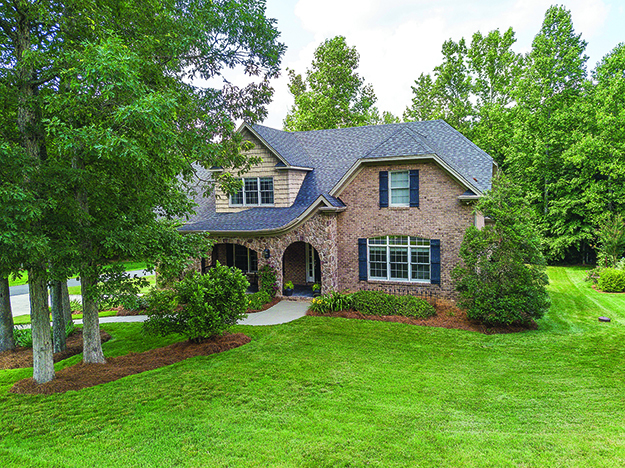 Spectacular 5 Bedroom (Septic 4 beds), 4.5 bath home with Master on Main! In-Law quarters with double sided fireplace. 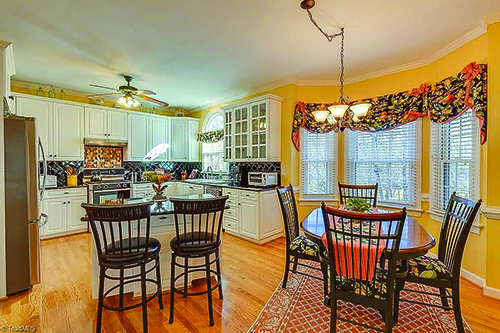 This home boasts amazing workmanship and character. 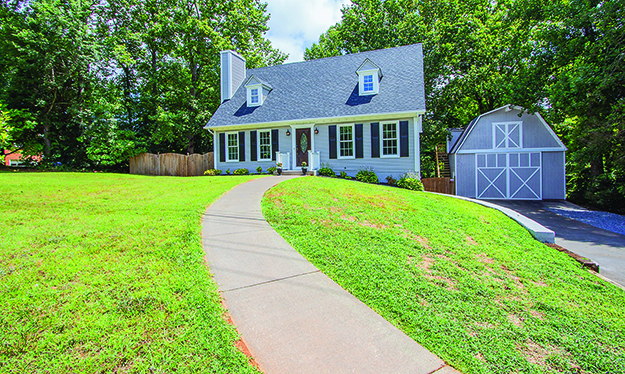 Corner lot provides additional yard space and privacy. 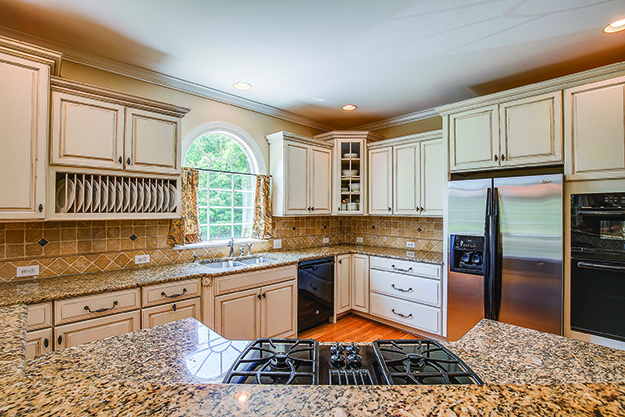 Arched doorways, arched porch cover, kitchen island range, granite counter tops, and stone finishes inside and out! Floor plan flows seamlessly. This is a true custom quality-built home. Bring your quarters to bid for unique items for an amazing cause. Just $2 per paddle to bid! Come join us for a day of family, friends, and good ‘ol fashioned community fun! 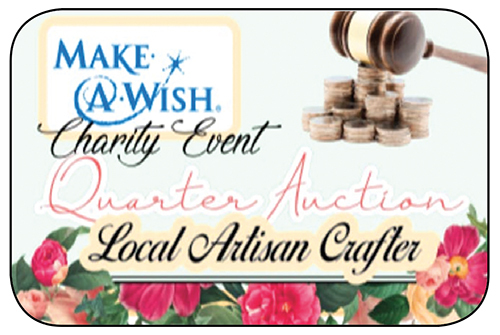 We have crafts, kid fun, quarter auction, food trucks, vendor shopping, and so much more! New Location and Free Admission for everyone! On the first Tuesday in August. 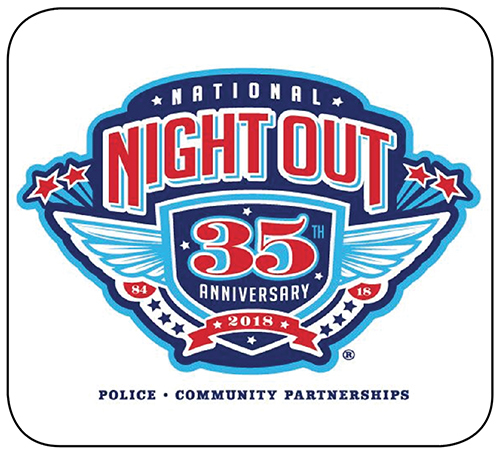 Neighborhoods host various other community events with safety demonstrations, seminars, youth events, visits from emergency personnel, exhibits and much, much more. 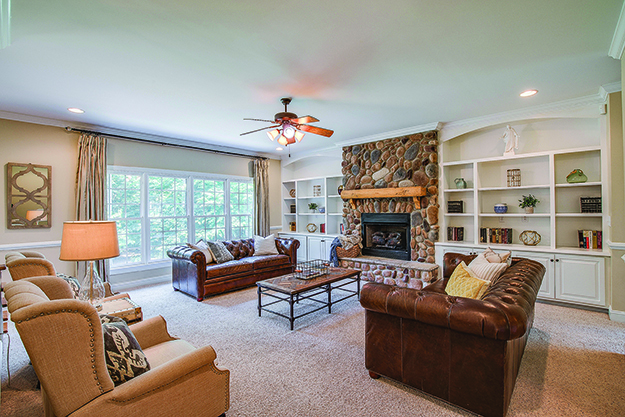 This custom brick home has been enjoyed by its creator and one owner. 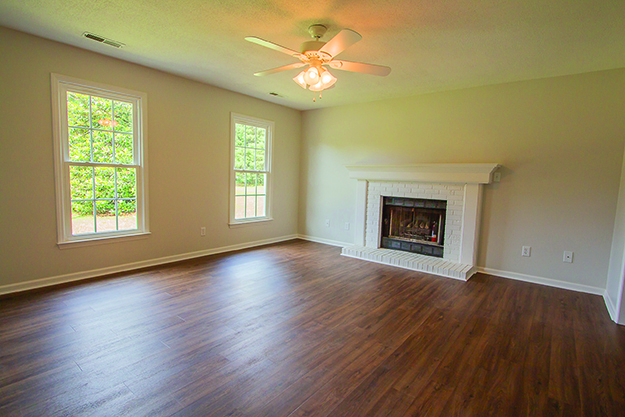 This treasure features a gorgeous floor plan with amazing light. You are home the moment you walk inside. Boasting: office/guest’s space/formal dining/basement. 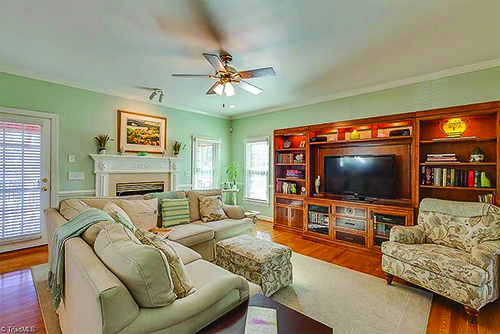 Superior master suite w/ updated bath & large WIC, grand ceilings. 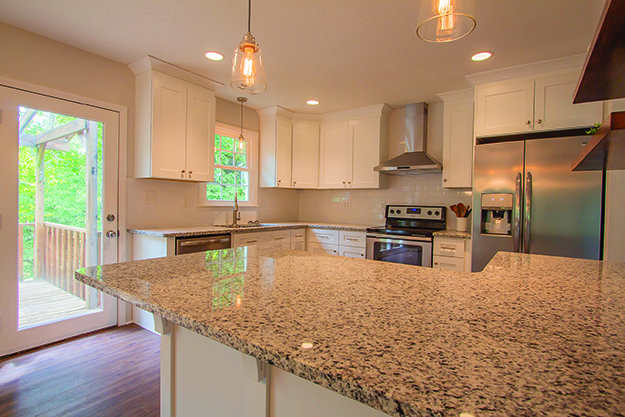 The open kitchen has lovely cabinets, pantry, granite. Walk-out basement with wet bar & French doors leading to the best yard in Oak Valley. Unbelievable screen porch! Oversized garage has terrific storage! New construction in Advance! Walk into this amazing one level ranch style home. 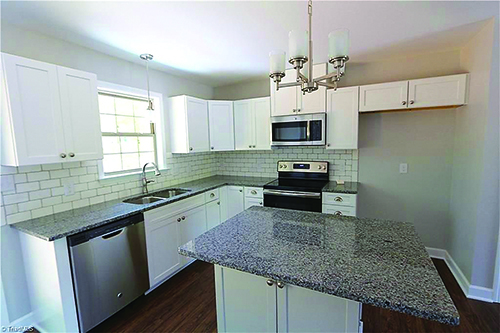 The open floor plan features hardwood floors, kitchen island with granite counter tops throughout and stainless-steel appliances! No detail overlooked! 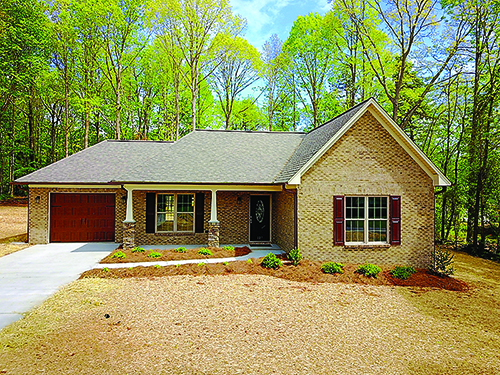 Sits on a little over 1/2 an acre and is within a few minutes of restaurants and the new state of the art Wake Forest Baptist Hospital. Mature landscaping allows for plenty of privacy. Why buy used when you can buy brand new? Built by Craig Carter Homes. 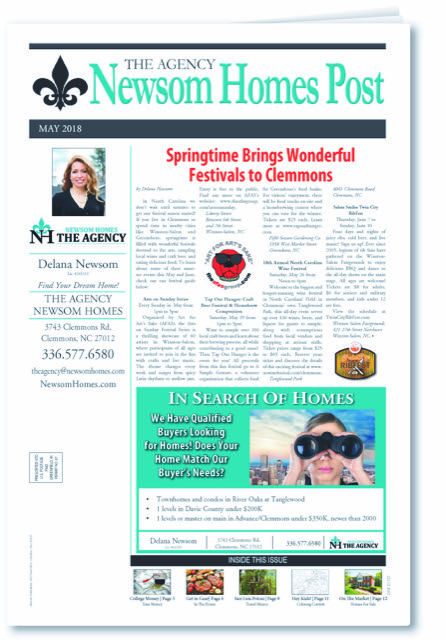 Click here to read the May edition of the Newsom Home Post. HAPPY Spring to Clemmons and beyond. Take a break, relax and enjoy the April 2018 edition of the Newsom Home Post. This month, the front page story has summer festivals that you don't want to miss. Page 2 has summer camp options to get those kids out of the house. Look to page 8 for a yummy recipe for seared tuna steak au poivre. Thanks Wolfgang! Are you tired of being tired? Page 10 tells you what you need to know. As always, we thoroughly enjoy putting this newspaper together for our you! We appreciate your interest and would love your feedback. ENJOY! Keeping your kids busy all summer can be a challenge. Until you realize how many great summer camps operate out of Clemmons and the surrounding area, that is! 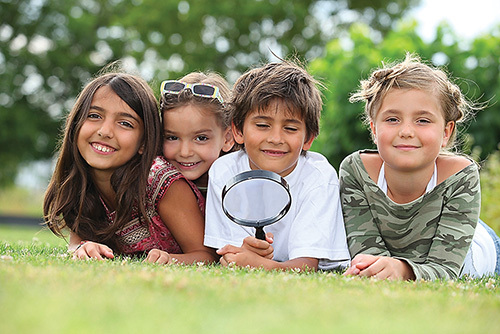 We’ve compiled a list of 4 wonderful local camps for girls and boys of diverse interests. So, whether your child loves splashing around in a lake or would prefer to make gourmet brownies in the cool oasis of AC, we have the perfect summer retreat for them. Looking for a traditional outdoor camp? Located on a 400-acre wooded property with cabins, dining halls, and a lake, YMCA Camp Hanes is a long-standing favorite amongst North Carolina kids and offers both day and overnight camps for children ages 6 to 15. After Grade 10, teenagers can continue on to become Leaders-In-Training at the 3-week leadership camp. At these beloved camps, children enjoy a wide array of activities like kayaking, archery, horseback riding, swimming, arts and crafts, and many others. Learn more at www.camphanes.org. Got a bunch of little gamers at home? Do they shun the outside world with a superhuman level of disdain? Sign them up for GAMET1ME’s Gaming Summer Camp. Beyond playing video games, this ambitious camp teaches kids how to code. That’s right, they’ll learn how to code Minecraft-style multiplayer games and other tech-savvy skills. And yes, GAMET1ME also makes their campers partake in outdoor activities — but shhh... don’t tell your kids! Learn more at www.gamet1me.com. Does your child delight in helping you in the kitchen? Southern Home & Kitchen presents Kids in the Kitchen: Summer Edition, a half-day camp where boys and girls make delicious meals and develop new culinary skills while learning about kitchen safety. The morning session is open to 7-10-year-olds, and children 11 and older are invited to attend the afternoon session. Learn more at: shopsohonc.com/kid-s-cooking-camp. So, your daughter or son has endless amounts of energy? Let them give Clemmons Gymnastics Camp a whirl. Open to children in kindergarten and above, the camp’s fully certified instructors teach kids of all ages gymnastics skills, while also providing arts and crafts, fun games, and field trips. There are even snacks! Parents can register their kids for whole weeks or choose to sign up per day. Learn more at www.clemmonsgymnastics.com/programs/summer-camps. Organized by Art for Art’s Sake (AFAS), the Arts on Sunday Festival Series is a thrilling showcase of 60 artists in Winston-Salem, where participants of all ages are invited to join in the fun with crafts and live music. The theme changes every week and ranges from spicy Latin rhythms to mellow jazz. Entry is free to the public. Find out more on AFAS’s website: www.theafasgroup.com/artsonsunday. Welcome to the biggest and longest-running wine festival in North Carolina! Held in Clemmons’ own Tanglewood Park, this all-day event serves up over 100 wines, beers, and liquors for guests to sample, along with scrumptious food from local vendors and shopping at artisan stalls. Ticket prices range from $25 to $65 each. Reserve your ticket and discover the details of this exciting festival at www.ncwinefestival.com/clemmons. Four days and nights of juicy ribs, cold beer, and live music? Sign us up! 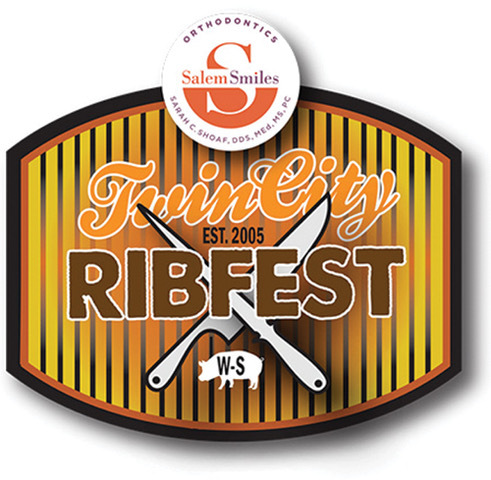 Ever since 2005, legions of rib fans have gathered on the Winston-Salem Fairgrounds to enjoy delicious BBQ and dance to the all-day shows on the main stage. All ages are welcome! Tickets are $8 for adults, $6 for seniors and military members, and kids under 12 are free. 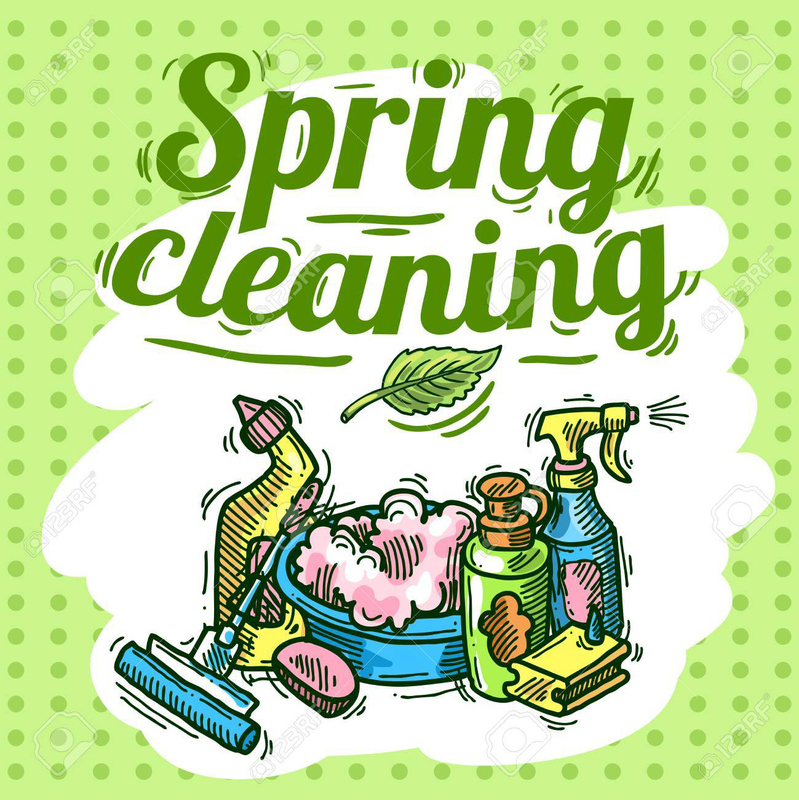 The Washington Post calls spring cleaning “the annual guilt trip.” The tradition traces its history to the days when homes were lit and heated with kerosene, wood, coal and oil. When the weather warmed and the sun shone, women would transfer the home’s entire contents to the outdoors and then attack the grime indoors.Old habits die hard and the spring cleaning ritual is still very much alive. As with any process with multiple “moving parts,” this one is easiest when you break it down into its most basic components. All those cozy, warm fires you enjoyed over the winter can leave fine dust and ash on most surfaces in the home, including the walls. Get out the duster and get to work, starting with the ceiling, and working your way down.Don’t neglect the ceiling light and fan. Hardware stores typically carry either long-handled or extendable dusters which will keep you off the ladder and out from under the falling “gunk.” You can find these here in Winston-Salem at Lowe’s (935 Hanes Mall Blvd.) and online at Amazon.com. The wintry mix really takes its toll on our windows but a quick clean will allow all that glorious springtime sunshine to stream through.Remove fabric window coverings and wash or dry-clean them. If you have blinds, give them a good dusting, then raise them to get at those windows and then remove the screens.Use a solution of mild dishwashing soap and a strip applicator to wash the windows. Then, swipe a squeegee across them to remove the dirty water. The pros at This Old House offer a handy walkthrough of their easy and effective window-washing process online at thisoldhouse.com/how-to/how-to-clean-windows-pro. Once the windows are sparkling, all that’s left to do is to wipe down the sills, clean the tracks (give each a squirt of lubricant after cleaning) and attack those dirty screens. Use the same type of soap-and-water solution you did for the windows and a soft scrub brush on the latter. Even though they aren’t within our direct line of sight when we enter a room, clean baseboards can make the entire room feel fresh.If there is still dust leftover from your dusting session, get rid of that first. A whiskbroom or even a paintbrush works well for this.Home maintenance expert Bob Vila recommends using a solution of dishwashing soap and water on painted baseboards, but vinegar and water works as well. If your baseboards don’t require scrubbing, use a magic eraser product instead. The flooring experts at Empire Today recommend a thorough and professional cleaning of the carpets in the home to set the stage for a healthy, happy spring. Although we can’t personally recommend them, Winston-Salem’s Elite Carpet Cleaning (winstoncarpetcleaning.com) and Oxi Fresh Carpet Cleaning (oxifresh.com) have excellent reviews at yelp.com.Or, do it yourself, by renting the equipment and carpet cleaning solutions from Home Depot (1000 Hanes Mall Blvd. in Winston-Salem) or Lowes in Winston-Salem (935 Hanes Mall Blvd.). Avoid scratching your hardwood floor by getting rid of every last speck of dirt, dust and debris before cleaning it.Then, use a cleaning solution recommended for the type of finish on your floor. If your hardwood flooring is relatively new, it’s most likely surface-sealed with ply-acrylic, polyurethane or urethane. Older floors are either not sealed, or finished with oil, lacquer, shellac or varnish.Surface-sealed hardwood floors are the easiest to clean; just sweep or vacuum and then run a damp mop over them. Floors with other finishes take a bit more work to bring them up to epic spring-cleaning standards. Depending on the beating the floor took over the winter, this may include stripping the old wax and applying fresh wax and then buffing it. Rent floor buffers at Sunbelt Rentals in Winston-Salem (3620 N Patterson Ave.) or Home Depot (1000 Hanes Mall Blvd. in Winston-Salem). Popular for their easy-care requirements, laminate floors typically respond well to a damp cleaning with a commercial laminate-floor cleaning product. The experts at Mohawk FloorCare recommend using a microfiber, terrycloth or cotton mop and to avoid wet-mopping your laminate floor.Use an acetone-based fingernail polish remover to carefully remove any stubborn stains. Wax or chewing gum will come up by rubbing them with an ice cube and then using (gently) a plastic-edged scraper. Sure, there are a seemingly-endless number of things that will require a deep cleaning this spring, but focus on the basics first and the rest won’t seem so daunting.